Urban Farms of Central Ohio (UFCO) and the Hoover YMCA Park are currently seeking seven to eight part-time interns for our 2015 joint internship program. This unique program will offer interns the opportunity to gain both experience in small-scale vegetable growing practices and exposure to working within urban community and educational settings. Interns will be primarily placed at either UFCO’s Clarfield Urban Farm or at the Hoover YMCA Park Learning Garden, though they will receive exposure to both programs, as well as other urban farming operations in Columbus. Urban Farms of Central Ohio is a non-profit organization seeking to turn underutilized and vacant lots into financially viable urban farms using sustainable growing methods while building civic engagement and providing communities access to fresh produce and educational opportunities. In its third year of operations, UFCO will be growing vegetable and fruit on over 3 acres at the Clarfield Urban Farm, located in the Marion Franklin neighborhood of Columbus. Interns placed at the farm will be primarily involved in food production and farm maintenance, but will also be immersed in the local neighborhood and will work with residents at the farm. The Hoover YMCA Park Learning Garden is a 1.5 acre organic farm located in Lockbourne, Ohio. The Garden was established in 2011 as a cooperative effort between the YMCA of Central Ohio, Local Matters and the Mid-Ohio Food Bank. The Learning Garden grows organic produce for our Community Supported Agriculture (CSA) program and for local food pantries and non-profits which serve families in need of food or job training. The Learning Garden is also an integral part of the YMCA summer youth camp. Campers, age 7-15, spend 2-3 hours per week in the garden, learning about growing fresh vegetables and assisting with garden operations. Receive training in organic vegetable production. Learn proper tool and equipment use, care and maintenance. Have the opportunity to assist in farm marketing, volunteer coordination and youth education. Receive exposure to various small-scale farming methods through regular trips to other growing operations. Learn teamwork and leadership skills. Receive fresh produce grown on site. Assist with all food production activities such as preparing and maintaining the production area, planting, weeding, harvesting, and packing of produce. Assist in hosting and supporting farm visitors including youth, volunteers and local residents. Demonstrated commitment, reliability, punctuality, and responsible behavior. Willingness and ability to work hard in less than ideal conditions. Demonstrated passion, motivation, and creativity to improve their community. Gardening or farming experience is a plus, but not required. Interns will be primarily located at one of the two locations for the duration of their internship, though there will be regular work days and social events to connect the two sites. Tasks require standing, bending, squatting, and heavy lifting, sometimes upwards of 50 lbs. Dress should be modest, comfortable, casual clothing that you don’t mind if it gets dirty. Dress in layers; wear sturdy shoes with closed toes. Apprentices should be prepared to work outdoors in all types of weather. Hats, sunscreen, rain coats are encouraged when necessary. Full season internships are preferred and will be offered from April 15-October 15, with flexible start and end dates. We can also accommodate partial season internships from April 15-July 15 (Cycle 1) and June 30-October 15 (Cycle 2). Interns are required to commit to a minimum of 10-15 hours per week. Interns will establish a consistent weekly schedule with the Site Manager at the beginning of the Internship. At this time, we cannot offer any monetary compensation or room and board. Interns will, however, have access to produce grown on site and have the unique opportunity to play a pivotal role in the development a small-scale growing operation. We also welcome interns who are looking to obtain college credit. If planning to receive credit, students are responsible for coordinating with their college to bring the appropriate paperwork. Applicants interested in full season or Cycle 1 internships are encouraged to apply before March 30, 2015. Those interested in Cycle 2 internships should apply by June 15, 2015. 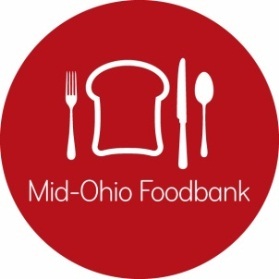 Applicants should submit a resume and brief letter indicating relevant experiences, motivations, and how you intend to use this experience in your future to urbanfarms@midohiofoodbank.org . Also include your availability for the internship. Please also indicate any college credit or other school requirements you may be looking to fulfill.